In an article for GovTech.com's Digital Communities, Tod Newcome wrote about "3 Advances in Transit Technology" that have had a major impact on the growth of urban transportation. In the article, he discusses how "transit agencies' focus and spending are beginning to shift as technology, such as mobile computing, social media, GPS and data analytics, have opened up new ways to improve service and, hopefully, attract more riders." In particular, the city of Portland stands out, despite being the 24th largest metro population in the United States, for its continued investment in transit and transit technology. 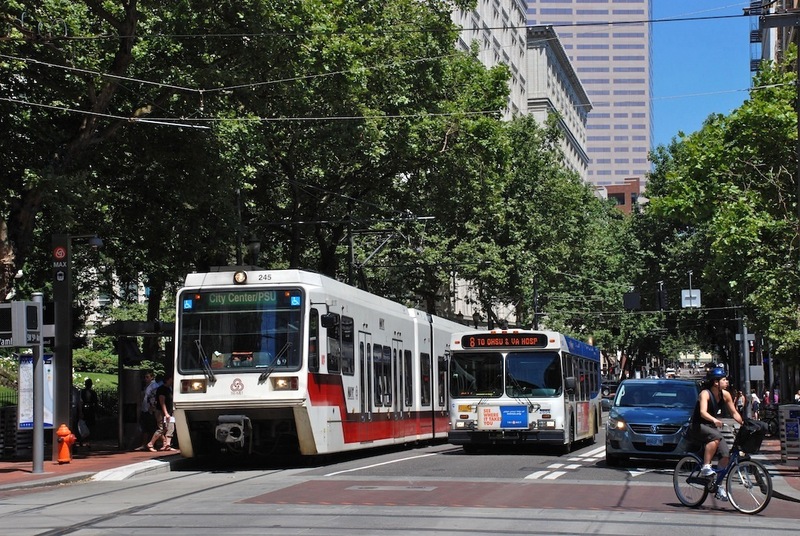 Portland currently has the "11th largest transit system, when measured by passenger trips." This article is part of a five part series on govtech.com/dc/ about the future of transit technology and the impact it will have. "Transit agencies are using advances in technology in three broad areas. First, there are technology solutions that are meant to make transit appeal to a broad ridership, not just the traditional users who are typically low income or don’t have a car. This is what Terry C. Bills, global transportation industry manager of Esri, calls the Madison Avenue approach, where transit agencies use data and cool technology to market transit so that it appeals to urban professionals and to better understand their needs. “For new urban riders, what’s important is that transit service is on time, clean and fast,” he said. Third, transit agencies are adopting social media for two-way interaction to increase transparency and accountability, while improving how they monitor transit service. The goal is to keep riders well informed and to also mine social media for ways to improve services. Twitter, Facebook, Instagram and other social media platforms have become essential tools for customer-focused transit agencies."